Bizzy Boutique software versions 2.9x+ come with the ability to modify your product page layout and content. The "old style" layout featured product images in a single column, followed by the product description and order button under that within the same row. 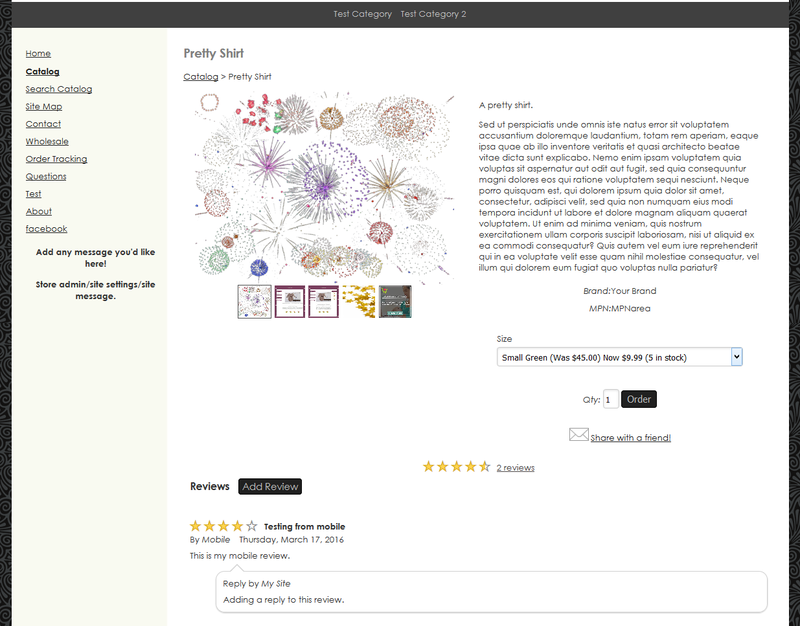 In later versions of the software, images were brought together gallery style, but the product description/price/order button remained below in a single column design. *NEW* as an optional add on for version 2.94 is a 2-column store layout where your images/image gallery is on the left (or right!) and your product description, price/order button, attributes, etc. are in a column to the side of it! See the image attached below for a visual representation of this layout description. The default layout will put the image gallery on the left, product description, etc. on the right and reviews centered below. Any changes to this layout should be discussed with the Bizzy Mama team prior to placing your order! How do I set up an affiliate program?